Homecoming and Reunion Weekend is October 11 - 14, 2018 and will feature academic programing and alumni events, including the Dean’s Welcome Reception and Alumni Awards. This year, we celebrate the achievements of Charles Webb, MBA ‘66, our Distinguished Alumnus honoree and Sherry L. Neubert, EMBA '07, our Outstanding Alumna. You can check out the full program and register here. Launched in 1993, the Distinguished and Outstanding Alumnus Awards recognize leading Weatherhead alumni. The Distinguished Alumni Award honors alumni who are transformational leaders, bringing credit to the University by their personal accomplishment, professional achievement and as good global citizens. 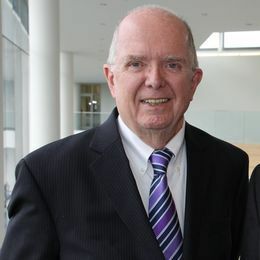 Charles (Chuck) Webb’s forty-five year career has covered the spectrum from Professional Advisor to Professional Manager to Entrepreneurial Activities. He has extensive experience in the financial services industry, including roles as a CPA; as Chief Executive Officer and Chief Financial Officer of community banks; and as an Investment Banker specializing in raising capital, financial restructurings, and mergers and acquisitions for financial institutions. He was founder and CEO of Charles Webb & Company, Executive Vice President of Keefe, Bruyette & Woods, President and CEO of General Ohio S & L Corporation, a Partner with Deloitte, Partner with Meuse, Rinker & Chapman (regional investment banker, now part of JPMorgan Chase) and co-founder and Chairman of Ernst & Webb, LLC, a consulting firm specializing in merger integration for financial services companies. Also, Mr. Webb has been a Lecturer at Fisher College of Business at The Ohio State University. He served on several corporate boards and on the boards of two not-for-profit community institutions. Mr. Webb’s educational background includes: Bachelor of Science, Bowling Green State University; CPA, Ohio; MBA Case Western Reserve University; and AMP Harvard Business School. He and his family are grateful that they have provided an endowment of a Research Fund at The Ohio State University Medical Center. Separately, they have endowed two scholarships for undergraduate students. The Outstanding Alumni Achievement Award honors alumni to recognize longevity and consistency of service and dedication to the Weatherhead School of Management. Sherry Neubert is the Chief Information Officer and the Vice President of both the Information Technology and Global Project Management functions at The Goodyear Tire & Rubber Company in Akron, where she has been employed since 2002. Neubert has worked in Operations and IT-related positions for 25 years. 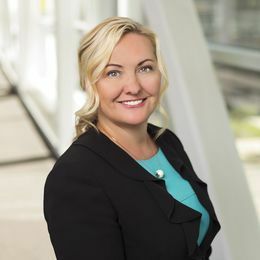 She began her career with Goodyear in the Enterprise Data Warehouse leading the Business Intelligence team, and during her tenure she has held various positions in IT and Project Management. Neubert holds a Bachelor of Science in Management of Information Systems from The University of Akron, an MBA from Case Western Reserve University’s Weatherhead School of Management, and a Masters in Operational Excellence from The Ohio State University’s Fisher College of Business. She is a certified PMP and a Six Sigma Black Belt. Sherry is a graduate of Leadership Akron’s Class of XXVII and was a 2011 “30 for the Future” Award Winner and received the Frank L. Simonetti Distinguished Alumni Award from The University of Akron College of Business in 2017, and the 2018 Athena Leadership Award recipient. She actively mentors and coaches women both inside of Goodyear and in the Akron community and is a member of the Weatherhead School of Management visiting committee and the Case Western Reserve University corporate visiting committee. She is a judge for the Goodyear Challenge, a design innovation challenge in collaboration with the Weatherhead School of Management. Sherry’s community interests are mainly in the areas of women, STEM, and education. She serves on the Leadership Akron Board, the LeBron James Family Foundation Community Advisory Board, the Corporate Visiting Committee for Case Western Reserve University, and is the President of the Women's Endowment Fund, a fund of the Akron Community Foundation.